Love it! Perfectly packaged to give as a gift. Oh wow.. Absolutely heavenly and exceeded all of my expectations! Mad Hatter is Amazing and this Sugar Cookie is the best one I've ever smelled! 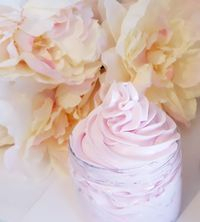 I have been disappointed over and over again when buying body butters. They usually leave such a greasy feeling on my skin that I stopped buying them. I can't tell you how happy I am that I tried these body butters and that I found this shop. These are hands down the most beautiful luxurious feeling body butters with scents that are heavenly!! There is zero greasiness and they're so silky. I'm very impressed and I highly recommend trying this shop's products. They are worth every penny and you won't be disappointed. I certainly wasn't and will continue to buy from here. Excellent products and customer service! Loved it! I bought 2 lotions and bar soap and use it everyday! 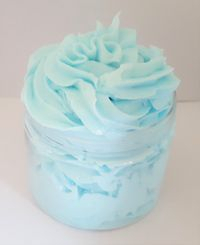 The body butter lotions r so delicious! I highly recommend everyone buy some! 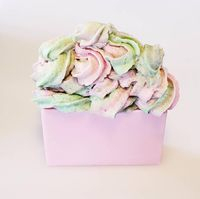 The soap smells like candy and looks gorgeous!